I work with all Athletes from beginner to Professional. All distances, including Sprint, Olympic, 70.3 and 140.9 events. I've worked with Marathoners and Ultra Runners. Gary discovered multisport in the early 1980's, at the nascence of "Ironman Fever." Ticking-off every distance, he soon participated in numerous Ironman events, and continued to rank among international triathletes. He is now a pillar of the Portland endurance community as the G.M. 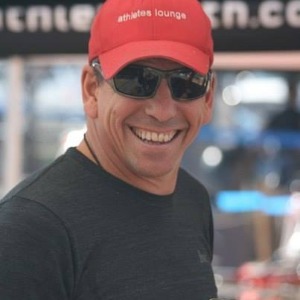 of Athletes Lounge, an accomplished race director, and an experienced coach. He has tackled nearly every genre of endurance event, recently nailing the epic Trans Rockies Run - a six-day, 120-mile adventure, only remiss to take time away from his true life passions: wine, stargazing, the shop, and his wife, Angela. Success. Coach Gary Wallesen has been notified of your message.